When it comes to collecting things there's a fine line between when it's a hobby and when it becomes an obsession. An Eagle man kicked his can across that line long ago. 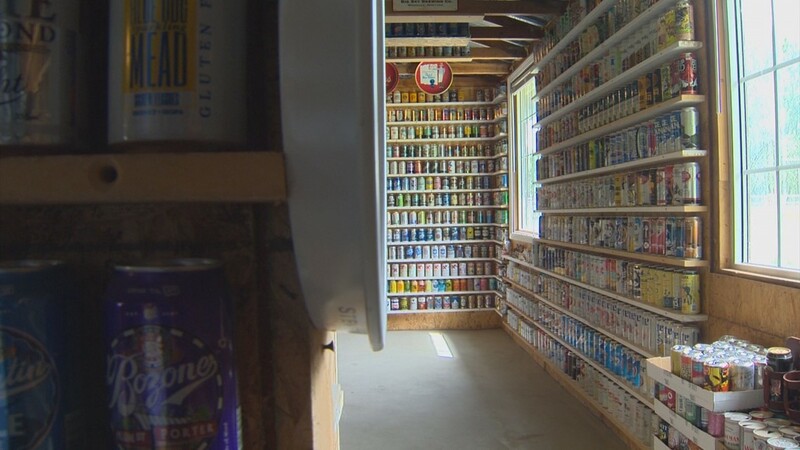 EAGLE - Out back, behind his rather modest house in Eagle, Joe Prin, a modest man with a modest affinity for malted beverages, has a rather immodest collection in his outbuilding. "Well, some would call it insanity," laughs Joe. 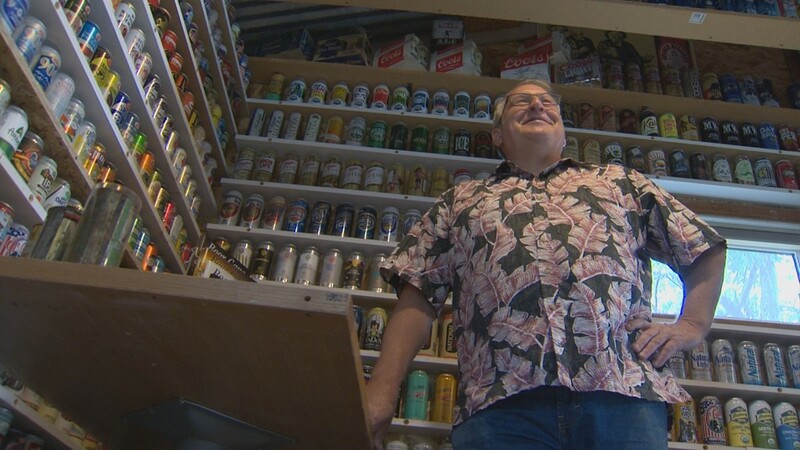 Joe says he has stockpiled and stacked somewhere near 11,000 beer cans (UPDATE: He now has more than 12,500). 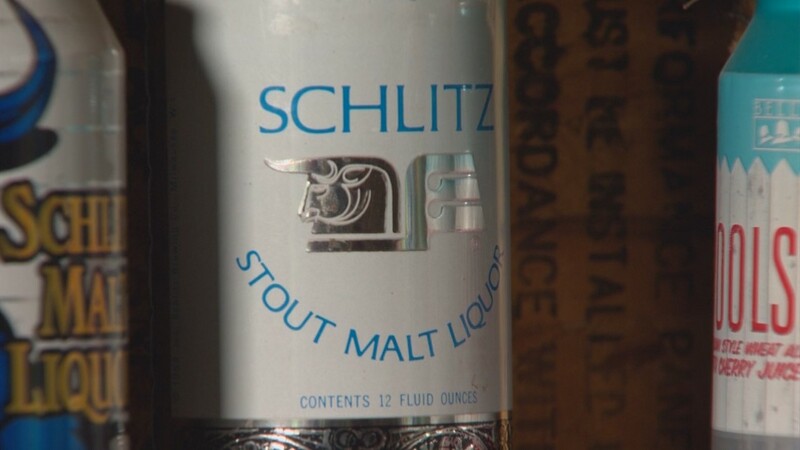 That's a lot of lagers, an abundance of ales, and a Schlitz-load of stouts. 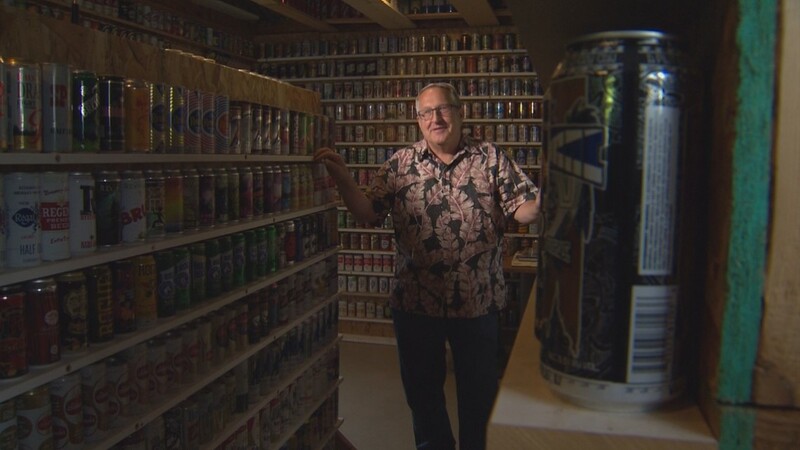 "That wall ends with C," says Joe, turning a corner as he gives a tour of his storeroom. "Oh yeah, it keeps going, there's another room." 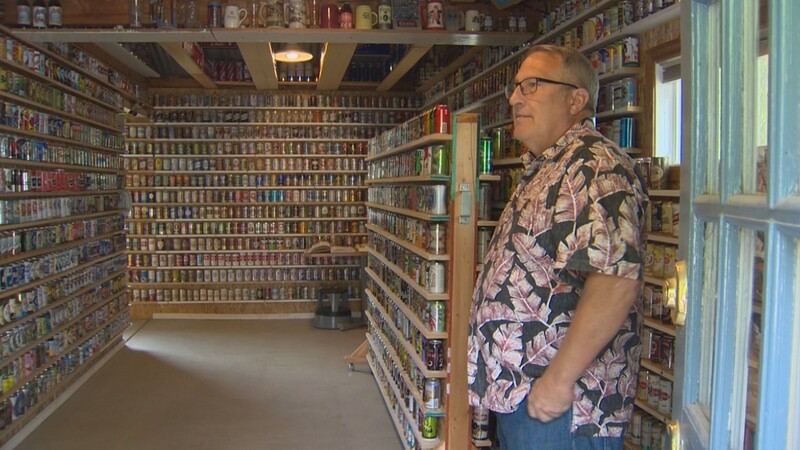 Sure, the collection is impressive - but so is the presentation with cans organized on shelves covering every wall. "It's the only way to keep track of it," he says. 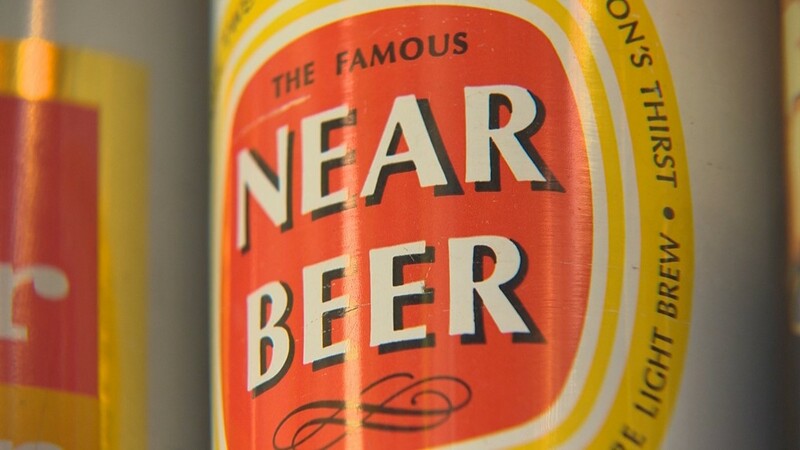 "Alphabetical, chronological, by brand and brewery." 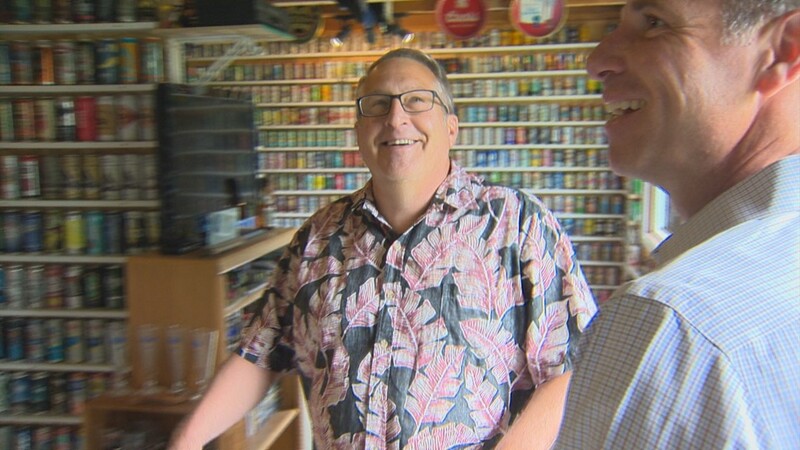 And when he ran out of wall space Joe went to the rafters and then to roll-around racks. Joe says he has a can from every state in the union and from A-1 to Zodiac. 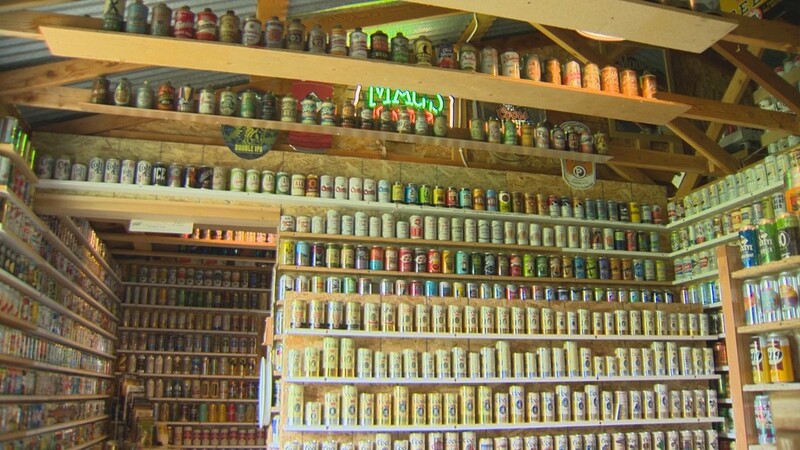 Even all the Idaho cans. 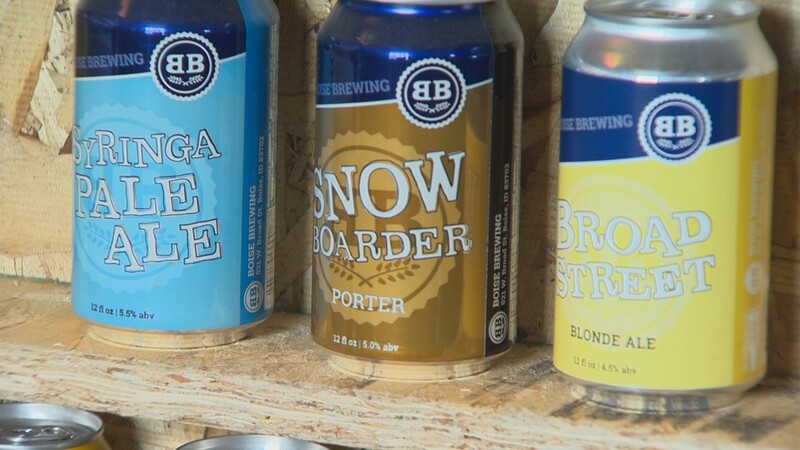 "Edge brewing, McCall brewing, Slanted Rock," he says, completing his list. 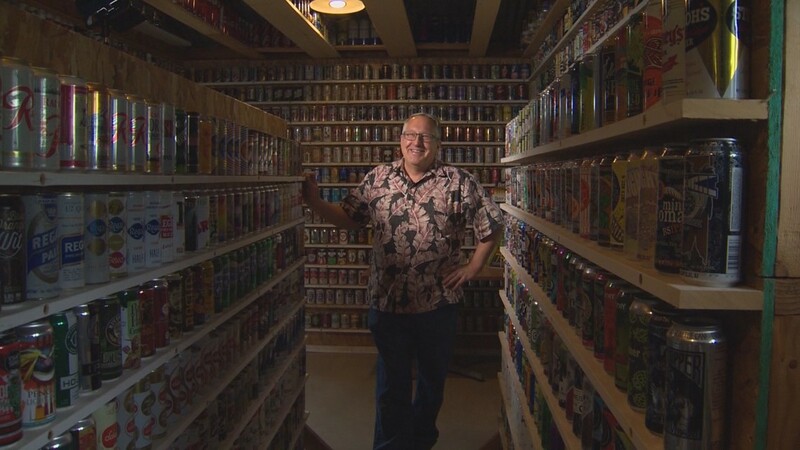 Joe Prin says he has stockpiled and stacked somewhere near 11,000 beer cans. Joe can go from generic to almost there to novelty TV cans. 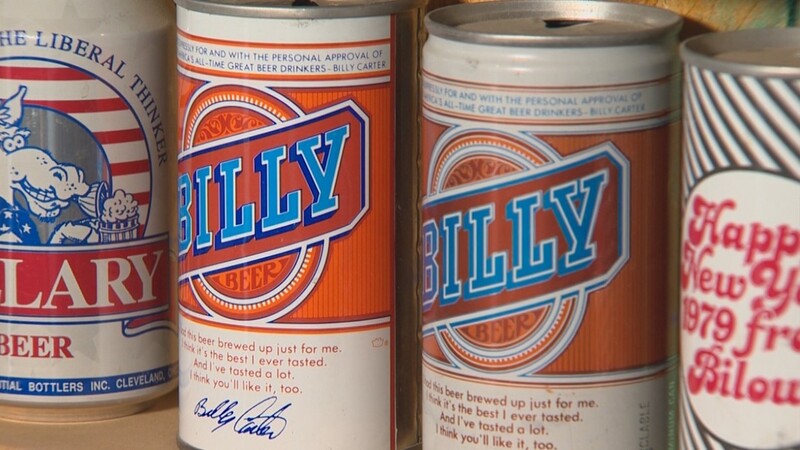 Even the "Every-Collector-Has-to-Have" Billy Beer. 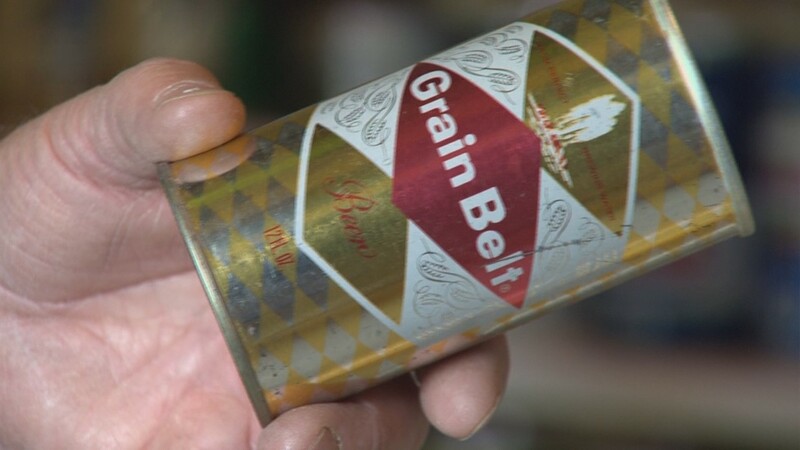 The first beer can? He's got that, too. 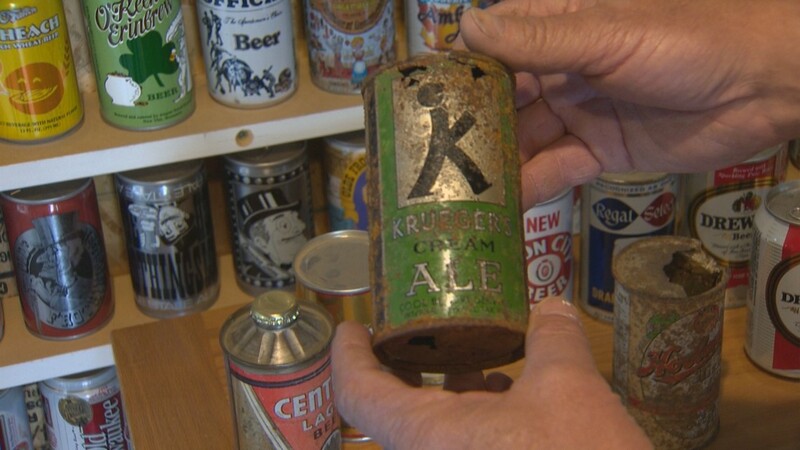 "Kruger's Cream Ale," he says as he slides the deteriorating can from a protective sleeve. 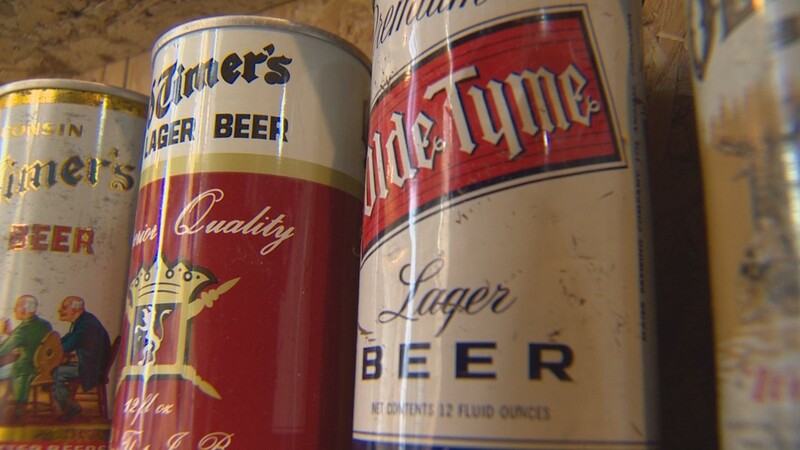 "That was the one the can companies talked this brewer into trying this in 1935. And it was a tremendous success." Kinda like Joe since he started this quest for metal majesty back in the 70s. "Up until some that I added yesterday," he says. He admits he has a problem. "Yeah, but it's manageable at this time," he says with a laugh. 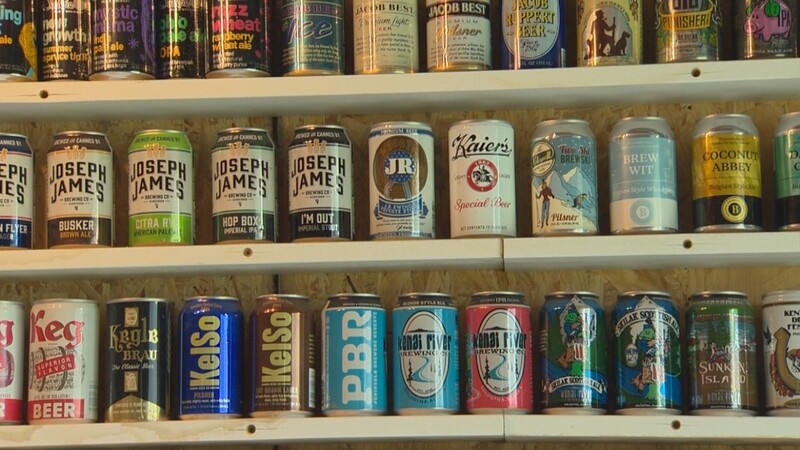 Joe knows of no one else in Idaho with this kind of collection. "I think I can probably claim that title," Joe says, laughing. "But I don't know if it's one to be proud of." But there are thousands more like him around the country. They even have their own club and monthly magazine, of which Joe is the editor. In it they track the auction prices of recent tin treasures. "That one was $37,000, this one was $35,000," Joe says, pointing out a few in the magazine. "There's none of that here and as long as I want to stay married there never will be." Joe also insists while all 11,000 12,500 of these vessels are vacant, he didn't drain them all. "I've had my fair share of 'em, can't you tell?" he says while grabbing his belly. "I've had my fair share of 'em." 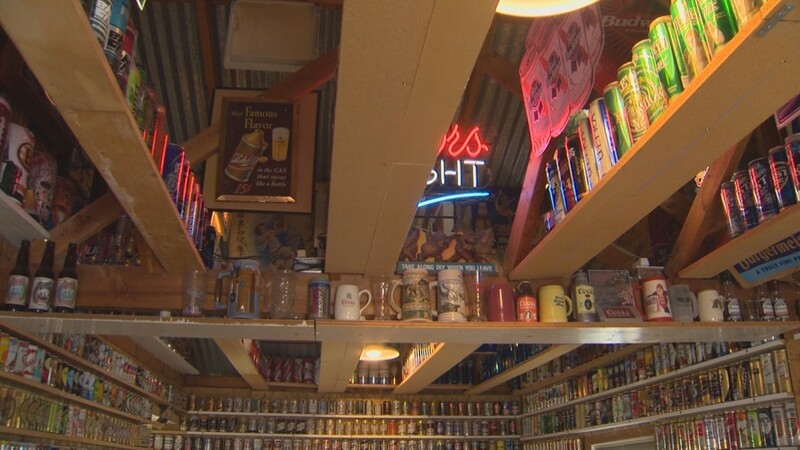 It's said Colt45 works every time but Joe says he's worked about as many as he can into his beer can barn. "I'm done now, this is it," he says. "My goldfish bowl can't get any bigger." A bowl, Joes says, that is only worth its weight in aluminum. But if measured in memories...priceless. "There's a story behind every one of these." 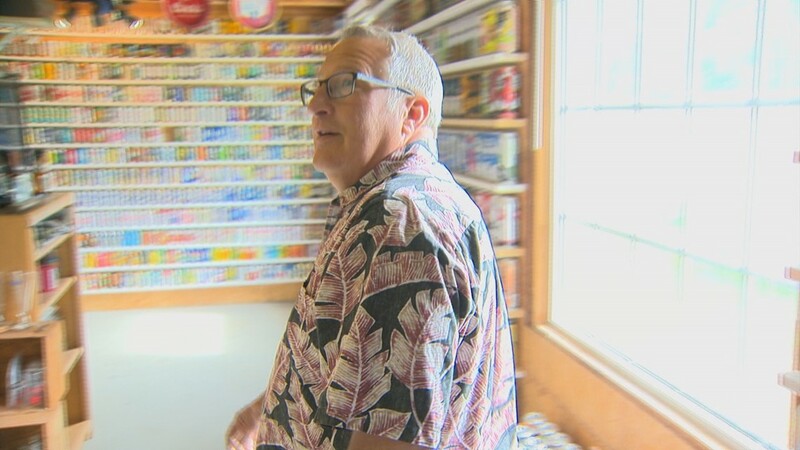 Joe says during the 1980s he once sold his entire collection to pay rent but kept two and restarted collecting. 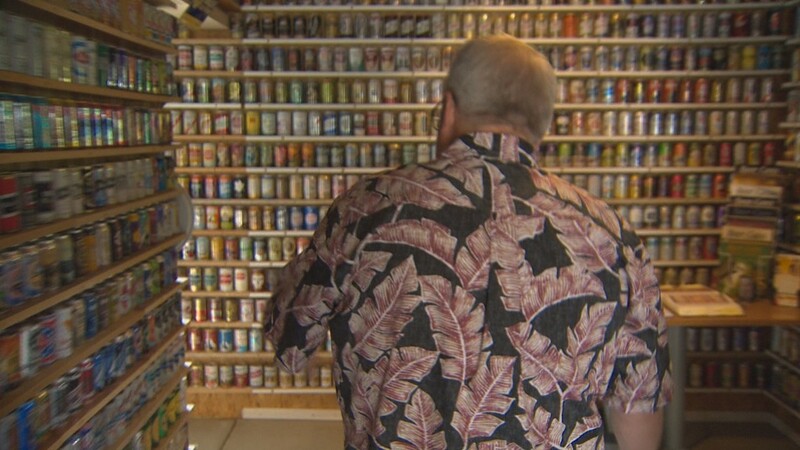 He even recently gave away about 4,000 of his international cans. He also says at some point he will start paring down his collection even further since his kids don't want it.